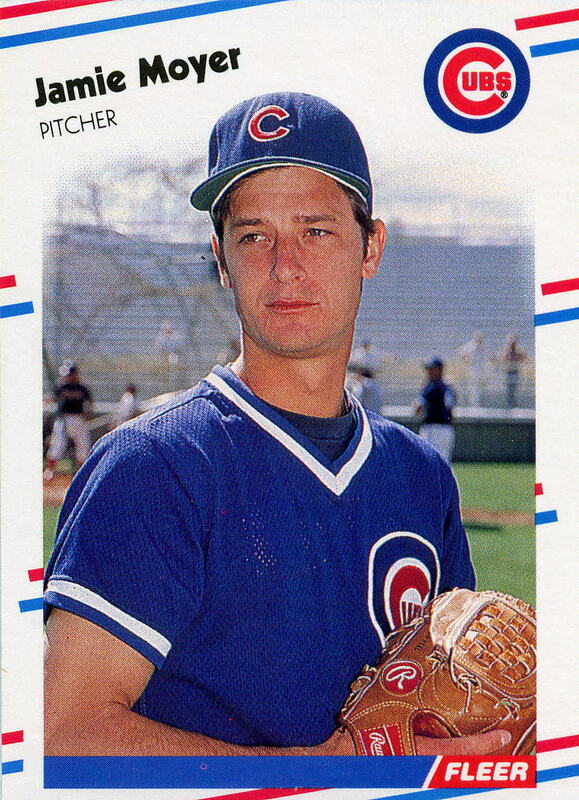 See the gallery for quotes by Jamie Moyer. You can to use those 7 images of quotes as a desktop wallpapers. Your body is not made to throw like we throw. 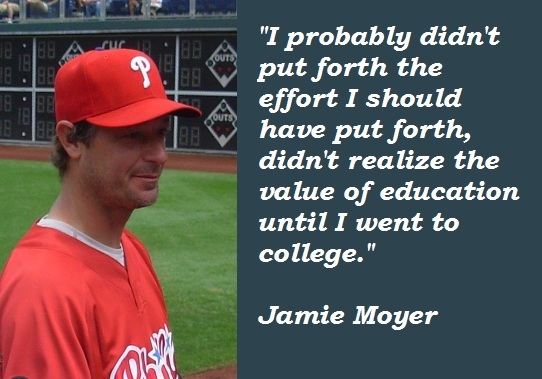 That's why you see softball pitchers pitching two or three games a day. It's a natural movement in softball. 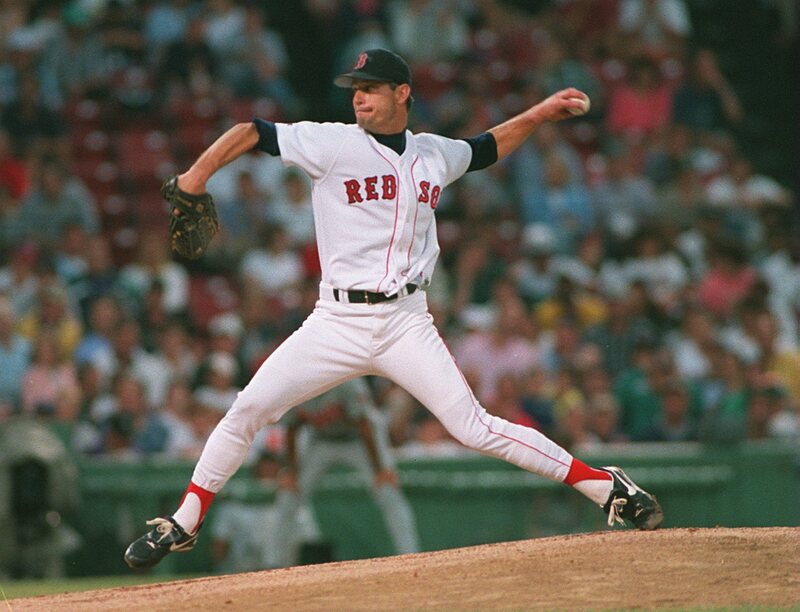 In baseball it's not a natural movement. 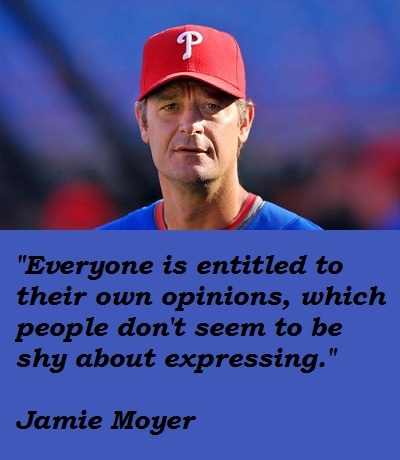 Everyone is entitled to their own opinions, which people don't seem to be shy about expressing. I don't expect anyone to give me anything. I don't think that I'm old. I feel I'm entitled to make my own decision. I probably didn't put forth the effort I should have put forth, didn't realize the value of education until I went to college. I was raised in a very blue-collar family. I wasn't ready to say, I can't play anymore. And I'm still not. I'm not a big believer in vitamins and all that stuff. I've had some great examples in my career of how to do things the right way. 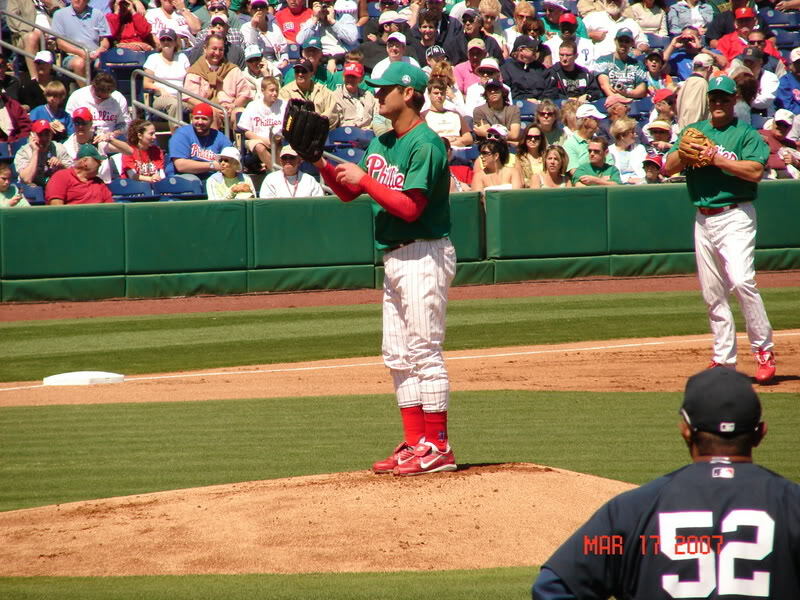 I've pitched too many innings and pitched too many years - one game doesn't make or break my career. 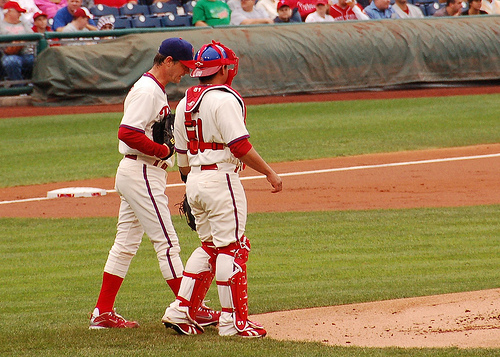 If you talk to any pitcher, consistency is the most important thing. If you're a doctor or a lawyer or teacher, if you only get three things right out of 10, you're considered a failure. It was a dream come true to be drafted by a pro team and have the opportunity to play. Learning how to work and learning how to fail is important. Physical therapy is part of my offseason routine. That has helped me greatly. Rest is obviously a key in the offseason. Souderton was a good town to grow up in. Everybody knew each other. I'm not the No. 1 starter. I'm not the guy that's going to carry the staff for four months out of the season, but I can contribute in a lot of ways. And to me I'm very proud of that. 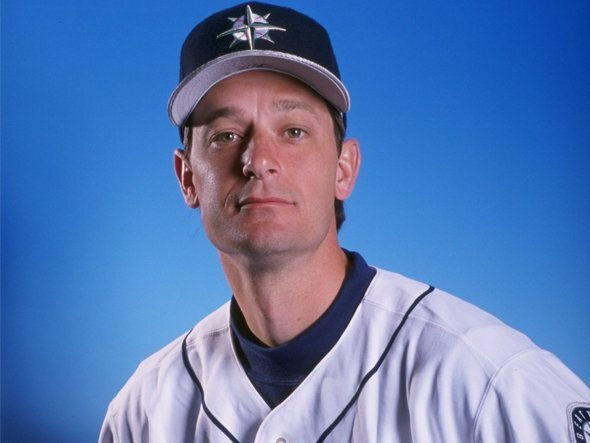 Much more quotes by Jamie Moyer below the page. Work ethic has always been stressed in my family. My dad is going to be 80 years old and he still works part time. My mom just retired a couple years ago and she's in her mid- to late 70s.